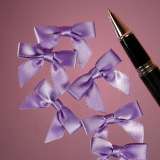 These adorable satin bows feature 2 ribbon tails and a nicely finished edge. 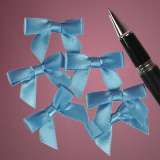 They measure approximately 1-3/8" in length and 1" in width. 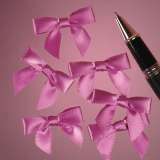 These versatile bows do not come wired and must be glued onto your items with a glue dot or any strong adhesive. Perfect for any designs!